There are companies that have a sort of double life, public and secret: impeccable products packed with style displayed in showrooms, but invented in pristine offices, noisy production sites, shaped by artisans working with archaic machines, far from the beauty of what, in the end, will be caressed by the gaze of visitors to stores. 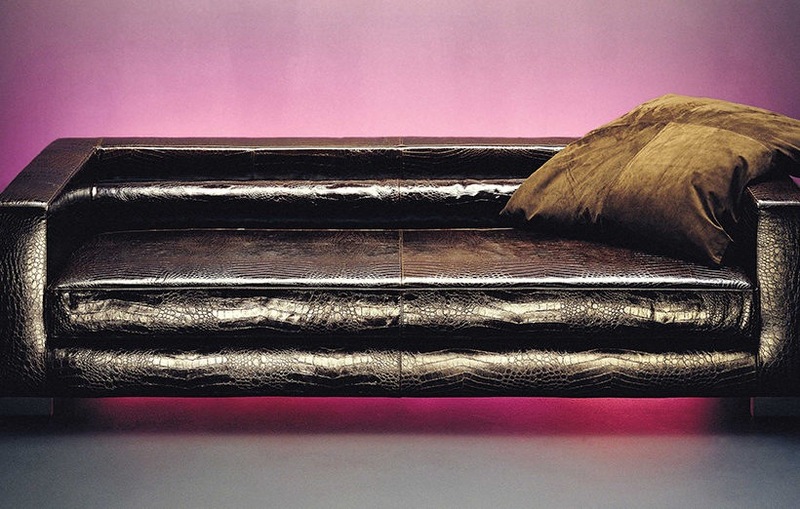 The headquarters of Luxury Living Group, which for 30 years has designed and produced the Fendi Casa line of furnishings and complements, is (on the other hand) just as sparkling and prestigious as the Ceasar sofas placed against the frescoed walls of Sala Gandolfi on the first floor of Palazzo Orsi Mangelli. It is as spacious and welcoming as the Artù circular sofa, lit by an immense chandelier in Murano glass. In perfect dialogue with the tobacco-color leather of the more contemporary collections created by Toan Nguyen, or the Infinity lamps designed by the company’s creative team. The facility employs thirty people, divided between the styling department and the research and development division. Three decades of collaboration (a revolutionary breakthrough in 1988), already celebrated with exclusive events in Milan, Miami, New York and Los Angeles, leading up to the program of initiatives in December, in coordination with Art Basel. Palazzo Orsi Mangelli is a late Baroque wonder in the center of Forlì, the former location of the students’ segretariat of the University of Bologna, renovated thanks to the efforts of the founder of Luxury Living Group, Alberto Vignatelli. A year of work that has made the building into a multifunctional facility, with a showroom and a space for events, immense rooms with a mutable spirit where the furnishings are completely reorganized three times a year, for the occasions of the events and fairs that pace the productive life of the group. Such as The Event, the happening in September that brings the group’s most important dealers to Forlì (more than 200 just for Fendi Casa). Then come Maison & Object in Paris, and the Salone del Mobile in Milan, when creations set forth from Forlì that show the world what happens when tailor-made quality meets the most carefully designed furnishing complements. “Right now, we are involved in an important generational turnover: we are in dialogue with a new, younger audience, composed of cosmopolitan aesthetes who have been around the world, have studied in Europe and the USA, and know how to recognize beauty,” says Raffaella Vignatelli, who since the death of her father has guided this company and its 300 employees, together with Olga Vignatelli and Daniele Vignatelli (the firm has over a thousand collaborators, taking in the entire chain of supply and production). 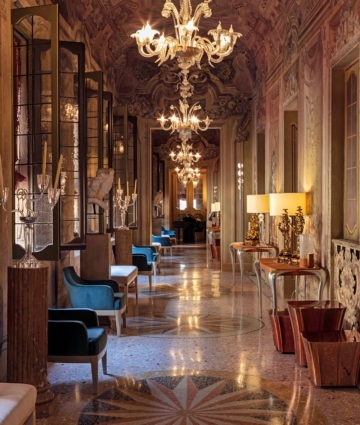 Luxury Living Group now reports about 120 million in sales each year, with the production of collections for the Fendi Casa brand, and those created under license for Trussardi, Bentley, Bugatti, Ritz Paris and Baccarat. 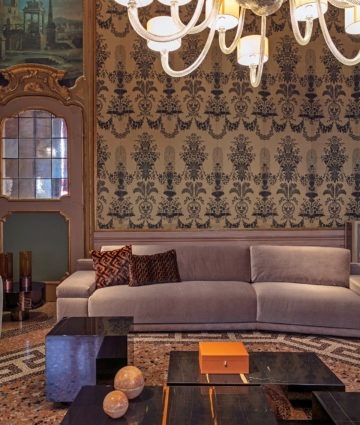 The entire piano nobile of Palazzo Orsi Mangelli is furnished by Fendi Casa, in a sort of larger and if possible even more dramatic version of the showroom on Via Montenapoleone in Milan opened in 2016. 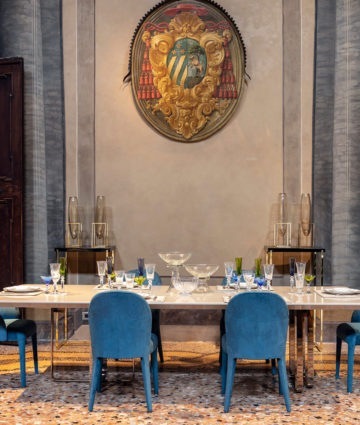 Like an inland extension of the Yacht Club of Monte Carlo designed by Norman Foster and decorated to a great extent with interior solutions created by Luxury Living Group with the brand of the Roman maison. Or like the Solo superyacht, 72-meter vessel just launched in Genoa and made by the Tankoa shipyard, with an owner’s cabin and convivial spaces enhanced by blue and earth tones, precious Macassar ebony and Venetian marble, as well as the patterns inspired by the fashion collections of the brand. “We have realized that even the models created thirty years ago by my father and the Fendi sisters are specimens of timeless design,” Raffaella Vignatelli continues, “and the contemporary reinterpretation of certain signature pieces, such as the Tudor, Montgomery and Prestige lines, continue to top our sales charts: you simply replace a chenille with a crocodile-print calfskin, a Jacquard with a linen in a geometric pattern inspired by the new Fendi collections, and everything immediately changes. Gauging and modulating forms and materials… that’s the secret.” A constant relationship of communication and tradition, activated between Rome and Forlì thanks to the experience of the Vignatelli family, which has been able to find the balance between sartorial skill and industrial vision, between the ephemeral rhythm of trends connected with fashion and the need to create long-lasting furnishings and complements that are contemporary but immediately classics, in a ‘total living’ approach that brings Fendi allure to the entire home. Continous leaps from the traditional to the contemporary, accomplished thanks to collaboration with designers have a wide range of sensibilities: like Toan Nguyen, with whom the Fendi Casa Contemporary collection was create in 2012, which thanks to minimal intuitions, like the Blixen seating line, has opened up the northern European market for the Luxury Living Group. Or Thierry Lemaire, the designer of a recent capsule collection that brings together velvets, furs and metals, a perfect hinge between past and future. Then there are Chafik Gasmi, Dimitri Rybalchenko, Nicolas Thomkins and Carlo Colombo, who during the last Salone del Mobile presented the Empire sofa, an ideal object to sum up and celebrate the three decades of collaboration between Luxury Living Group and Fendi. The production center runs like clockwork, in a silent, clean operation carried out with the expertise of people who have worked with the group for a lifetime. 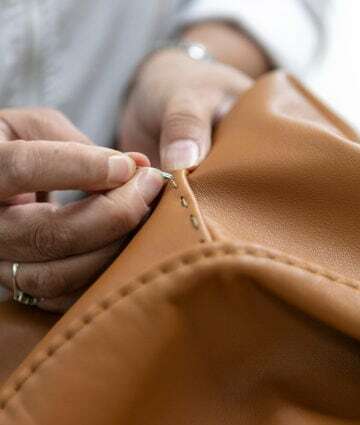 The facilities have an area of 20,000 square meters, with a vault containing the leathers, carefully conserved inside-out to prevent damaging exposure to light. In the velvet warehouse the bolts are stored separately from one another, so the surfaces never touch, to prevent the formation of imprints. The new area for the cutting of cowhide is a zone of very delicate work where everything is done by hand, except for the actual cutting phase performed by gleaming machinery of the latest generation, the best on the market. “What you see here is a very difficult phase of the work, because the operator has to have very steady hands, in spite of the constant speed of the movement,” the foreman explains, illustrating the process of painting, piece by piece, of the parts of a chair. Everything has been organized to meet the most arduous challenges: contrasting coloring is even applied to the least visible parts, and just the slightest error can make the product fail to past inspection, ending up in the discard area at the back of the warehouse. 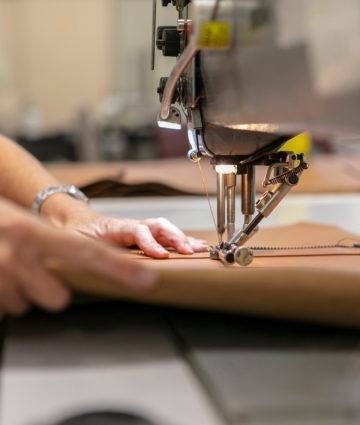 While the leather scanner lights up the space in search of the perfect angle for the cutting, the seamstresses make cross-stitches at their computerized workstations, constantly referring to the technical specifications. 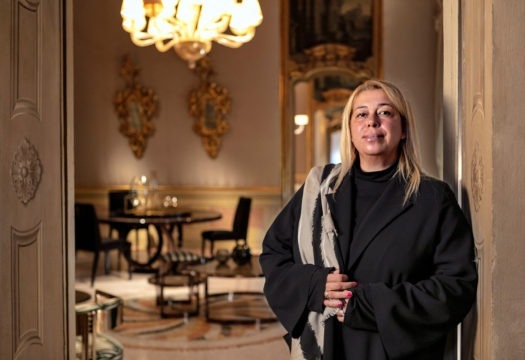 Raffaella Vignatelli, president of Luxury Living Group, which produces the Fendi Casa line. 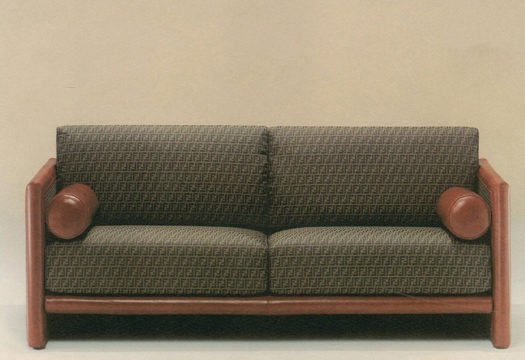 The Farnese sofa from 1988, the year in which Alberto Vignatelli and Fendi presented the first Fendi Casa collection of furnishing complements. 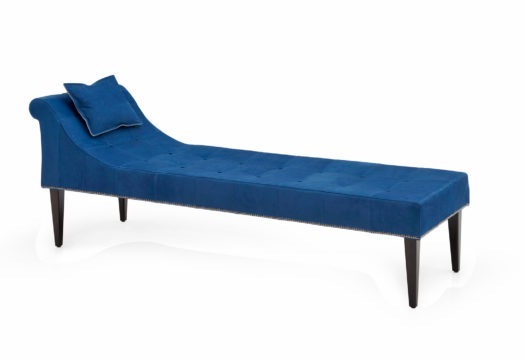 The Cosima daybed from 1994 in the version created for the 30th anniversary of the brand. One of the evocative spaces of Palazzo Orsi Mangelli in Forlì, headquarters of Luxury Living Group. This gallery on the first floor is entirely covered with frescos made by Angelo Zaccarini in 1750. View of the monumental corner hall of Palazzo Orsi Mangelli, known as ‘Gandolfi’ or ‘Salone delle Feste,’ whose painted ceiling is attributed to Gaetano Gandolfi (1750). Infinity table, 2017, and Audrey chairs, 2013, designed by the in-house styling division of Fendi Casa. 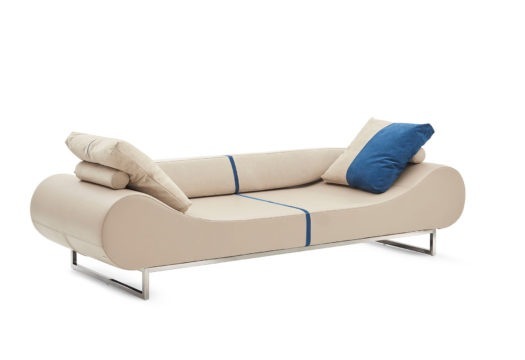 The Apta sofa from 2002 (designed by the styling division of Fendi Casa), in the reissue to celebrate the brand’s anniversary. 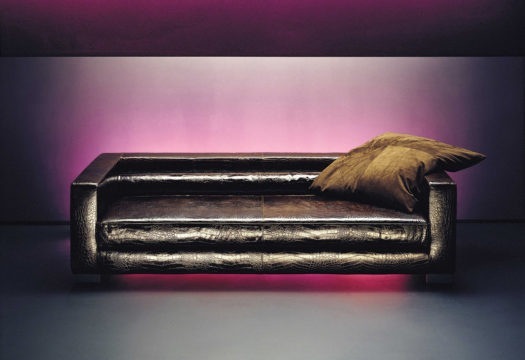 The Eros sofa from 2004 (Fendi Casa styling division), in the reissue to celebrate the brand’s anniversary. 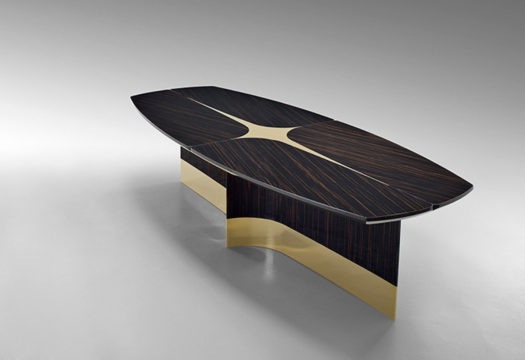 The Margutta table from 2013, Fendi Casa styling division. 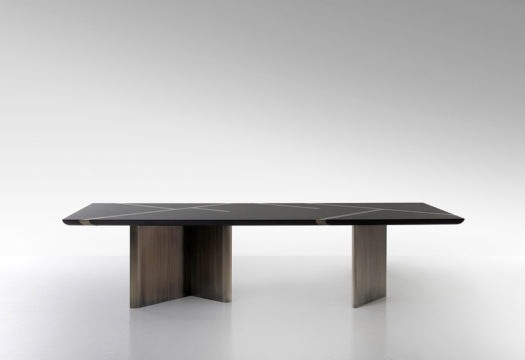 The Star table presented in 2014, designed by Thierry Lemaire. 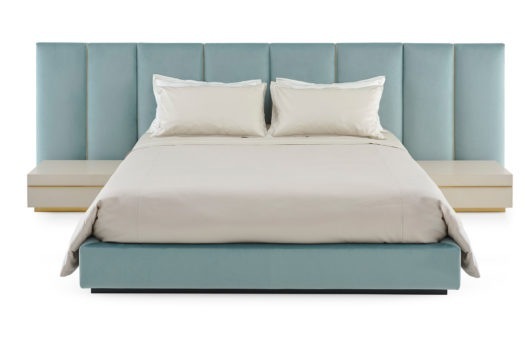 The Delano bed, 2018, Fendi Casa styling division. A room on the main level of Palazzo Orsi Mangelli, finished with decorations and frescos. The wallcoverings in silk and velvet are originals from the 1930s. 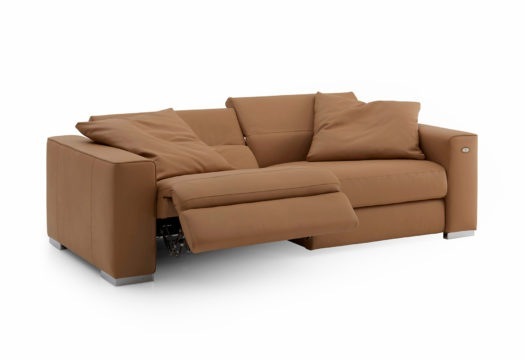 Constantin sofa, designed by Thierry Lemaire, 2018, and the Prisme coffee table, 2018.